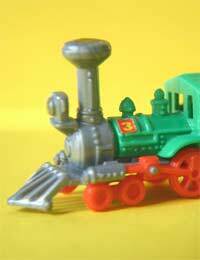 Plastic toys do seem to have a bad press at times, but they are probably unfairly criticised. Although there have been scares about chemicals in toys in the past, the strict safety regulations that govern the import and sale of children’s toys mean that any plastic toys you might pick up off of the shelf in this day and age will be thoroughly tested, safe and reliable. So Why Buy Plastic Toys In The First Place? Wooden toys are gorgeous and gaining in popularity, but being a natural substance means that wood is always prone to rotting if not looked after properly, and of course can split and splinter, leaving children at risk from injury. Plastic toys are far more durable and can be bent, twisted and quite often stamped on before any serious damage happens to them. Of course, it’s always best to instill a certain amount of respect for toys in your children, but at least plastic toys can stand up to a bit of rough play. Another bonus of plastic toys over some materials, such as wood, are that plastic toys are washable toys. If the little darlings come in from the garden covered in mud or other delights, you can simply wipe their toys clean while you dunk them in the bath to clean up. There’s no need, as with fabric toys, to even put them through a wash in the machine, all it takes is a damp cloth and the toys are as good as new. This makes plastic toys even more long lasting, but of course minimises the risk of transferring dirt and germs from washable toys onto your children’s hands, or around the house! Toy Safety -What About The Risks of Chemicals in Toys? Although there have been some concerns in the past about plastic toys and chemicals in toys, the main concern was about the use of chemicals called phthalates. Phthalates are a group of chemicals used as plasticisers in many products, including cosmetics, but have been used in toys in the past. Phthalates have been linked in the past to reproductive system disorders as well as an increased risk of asthma and cancer. For these reasons, a toy safety directive by the EU banned the use of phthalates in any plastic toys that were likely to be chewed or sucked on by small children, although the plastics industry vehemently denied that there was any discernible risk.